Please see the updated of Emsisoft Mobile Security review in a Security section, or click here. Android malware can cause you a lot of troubles, including stealing your personal data, credit card information, cause ID theft and even more. In addition, as Android mobile operating systems are targeted by mobile hackers more and more, a security package for Android mobile devices is a must. Emsisoft Mobile Security was established in order to provide Android users the efficient product that ensures their security, privacy, and protection. Mobile devices, just like infected PCs, also can be reprogrammed. However, mobile devices are more connected to everything that users do. In addition, mobile devices also are always with their users: in their pockets or purses. 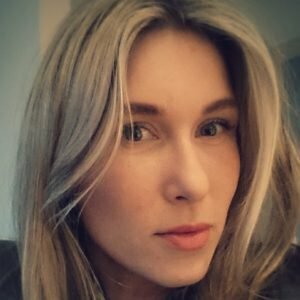 They guide, entertain and connect users to each other. Emsisoft has created its Mobile Security application in response to the mobile malware. It is a next-generation advanced security package for Android devices that provide a wide range of security features. Emsisoft Mobile Security applies the latest technology which provides the best security without a negative impact on a system or a battery life. Emsisoft Mobile Security was developed in order to provide users safer and more informed Android experience and protect smartphones and tablets from threats awaiting on the Internet. The mobile security scans all stored files for malware infections. It also includes external and internal storage scans. This feature uploads malicious or suspicious application information to improve cloud detection. The App Lock function requests the passwords to access the application. This way you can protect the access to important files and applications if your phone is used by third-parties. It also allows you to lock annoying notifications for newly installed apps. The real-time protection feature identifies and blocks all malicious or dangerous applications before they infect the device. 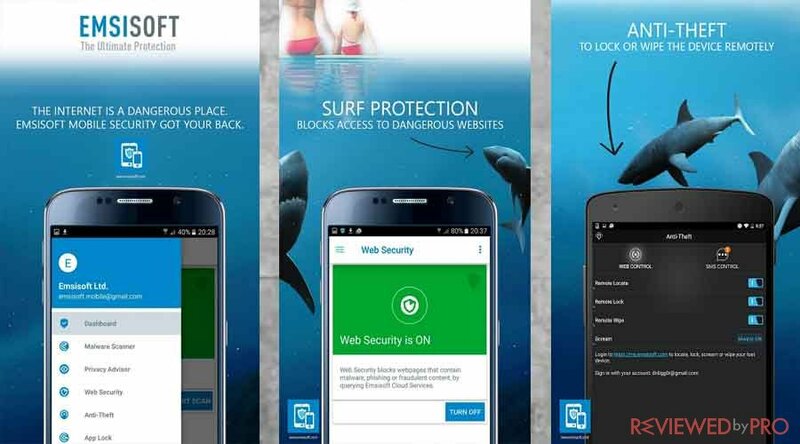 Surf Protection enables users to browse the web safely. It blocks access to malicious websites that include fraudulent content, malware or phishing, and notifies users about threats and dangers on the Internet. The Anti-Theft feature protects your device if it gets stolen or lost. It can remotely wipe or lock it, ensuring that the sensitive information, private files, and photos are safe and won’t be accessed by third-parties. It also is capable of locating your phone and send back an SMS message with your phone’s location on google maps. Can send “call” command from any phone to user’s number to make a device call I stealth mode. As a result, users can listen in on whoever has the mobile device. Emsisoft Mobile Security also provides its users a privacy audit on installed applications. The function enables you to locate your phone and receive notifications on your Android smartwatch. Emsisoft Mobile Security app provides you detailed reports every week and well as all the information about your phone’s security and privacy functions. Emsisoft offers both free and paid versions of the protection. 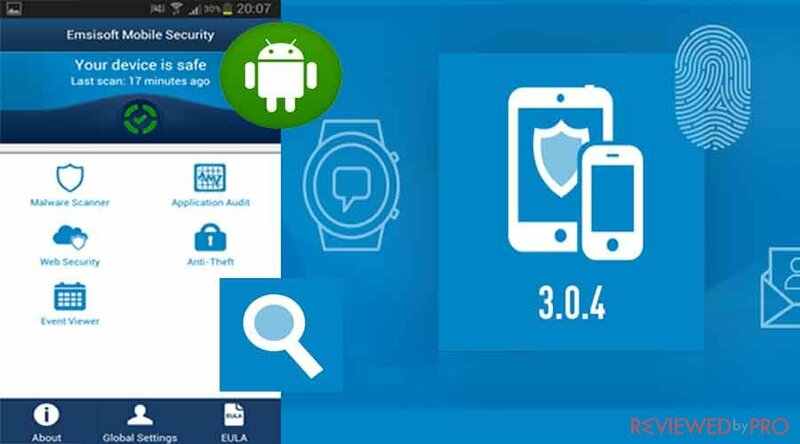 The 30-day trial of Emsisoft ultimate Android protection is free and available with the FREE version of the software. 22% of the world’s population owns a smartphone or mobile device. 20% owns a computer. If you were creating malware and wanted to infect as many people as you possibly could, which platform would you choose? Text messaging Trojans are involved in 73% of all mobile attacks. Usually, SMS Messaging Trojans are hiding behind mobile apps that look legitimate. However, these seemingly legitimate apps connect your device to a premium SMS messaging service which is own by the attacker. As a result, the attacker hijacks the device and programs it to send SMS messages to a premium rate phone number, followed by the huge bill you will receive. Mobile Rootkits log keystrokes to kidnap your personal information including usernames and passwords. Further, the personal information is shared with a remote server. What is more, rootkits are also able to log and share your location, monitor your SMS messages, phone calls and other activities. Mobile Botnets are able to take over and control thousands of mobile devices at once. Attackers behind mobile botnets often have nefarious purposes, such as mining cryptocurrency. As a result, devices start to act weird, the speed and the battery life decreases. It is important that mobile devices are being used more than PCs, so Mobile Botnets are also becoming more popular among attackers. What is more, that nearly one-third of all free mobile applications have the access to your personal information, camera, or the permission to track your location, no matter they are malicious or not. So users have to be careful with the permissions and access they give to barely known apps and their developers. 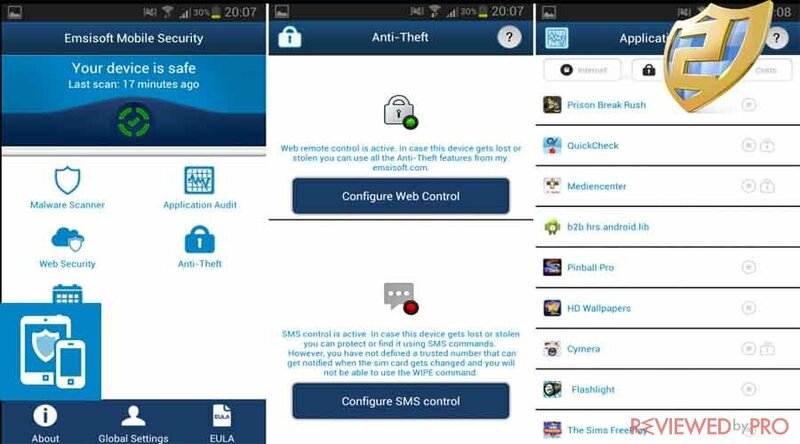 Emsisoft Mobile Security can be run on Android devices with Android 4.0 and later. Emsisoft was established in 2003 and since then focuses on providing quality security software. The company is based in New Zealand but has a global presence through local teams across all time Zones. Emsisoft products are known for their innovative anti-malware solutions that are efficient, powerful and minimalistic. The security software Emsisoft provides is lightweight and effective. It offers packages for both, home and business users. The company has a number of awards including ProtectStar Award, AV of the Year award by PCSL and Cyber Defense Magazine. It is also AV-Test Certified, rated as a Top Product of the Year by AV-Comparatives, VirusBulletin VB100, MRG0Effitas #1 and more. ^ Emsisoft Mobile Security . Emsisoft. ^ Emsisoft Mobile Security . Google Play. ^ Who is Emsisoft . Emsisoft. This entry was posted on 2018-01-11 at 08:10 and is filed under News.